Rep. Al Green, the Texas Democrat who has pushed to impeach President Trump every year that the commander-in-chief has been in office, said Sunday that "impeachment is not dead," despite findings from Special Counsel Robert Mueller&apos;s probe showing the Trump campaign did not collude with Russia. The congressman tweeted that Mueller&apos;s report, which was submitted on Friday and the key findings of which were released Sunday, "did NOT investigate bigotry emanating from the Presidency harming our country." He continued: "The findings do NOT negate the President’s bigotry. As long as bigotry influences the President’s policies, I will continue to seek his impeachment. #ImpeachmentIsNotDead." Green&apos;s sentiment echoed what he told Fox News&apos; Neil Cavuto on “Your World with Neil Cavuto” earlier this month — that "bigotry is impeachable." “It’s not about any one person, it’s really about the concept of ‘government of the people, by the people, for the people’ and the notion that we have a democracy. And, within this democracy, our Constitution accords this right to bring impeachment to the floor for every member of our caucus," Green said. 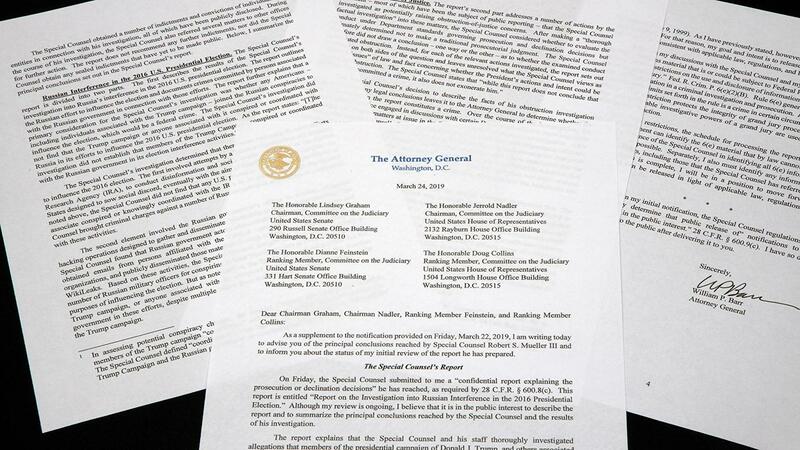 Key findings of Mueller&apos;s report were released on Sunday by Attorney General William Barr, who wrote a four-page summary of the report&apos;s "principal conclusions." According to Barr, the special counsel&apos;s office "did not find that the Trump campaign, or anyone associated with it, conspired or coordinated" with Russians who worked on hacking efforts hoping to sway the 2016 presidential election "despite multiple offers from Russian-affiliated individuals to assist the Trump campaign." The nearly two-year-long investigation "did not draw a conclusion" on whether Trump obstructed justice, but did hand over the responsibility of determining "whether the conduct described in the report constitutes a crime" to the attorney general&apos;s office. Barr wrote, "The Special Counsel states that &apos;while this report does not conclude that the President committed a crime, it also does not exonerate him.&apos;"
Fox News&apos; Victor Garcia contributed to this report.